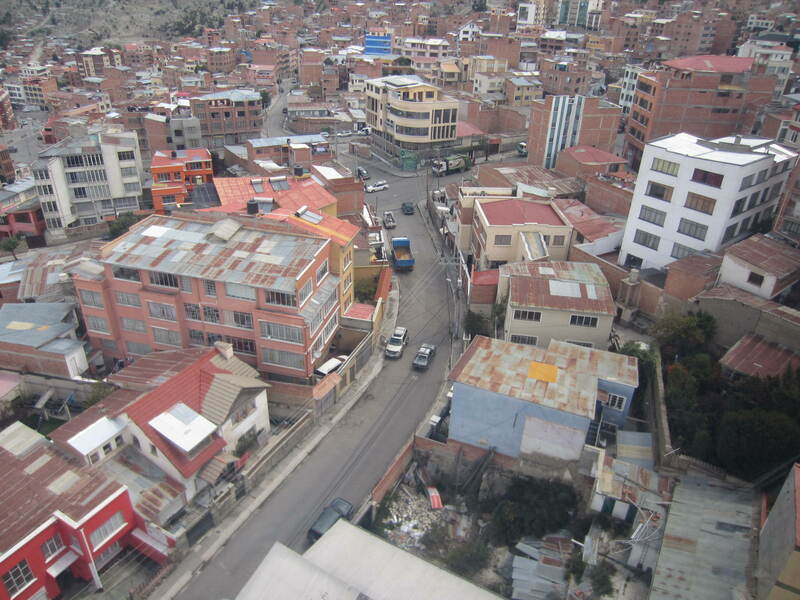 La Paz is a metropolis of many nooks and crannies. 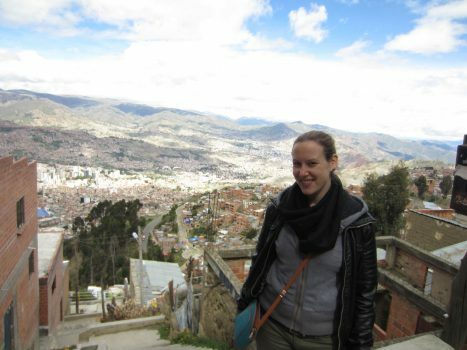 I had visited La Paz once before in 2011 when I was living in Sucre, but when I was passing through again in 2015, I wanted to get a new perspective on the city. 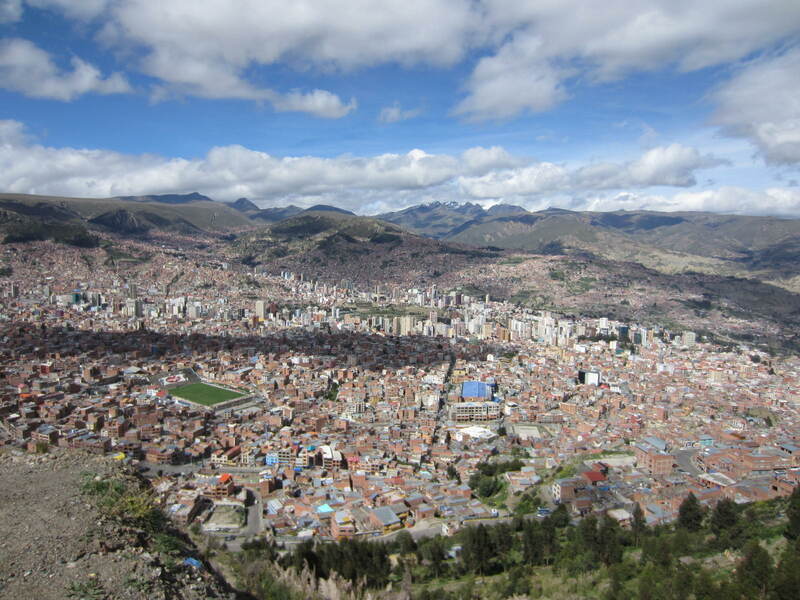 In order to become reacquainted with the cultural and historic highlights, I decided to take a a private alternative La Paz walking tour with Aracari travel, local experts in luxury travel Bolivia, to get to know the city. 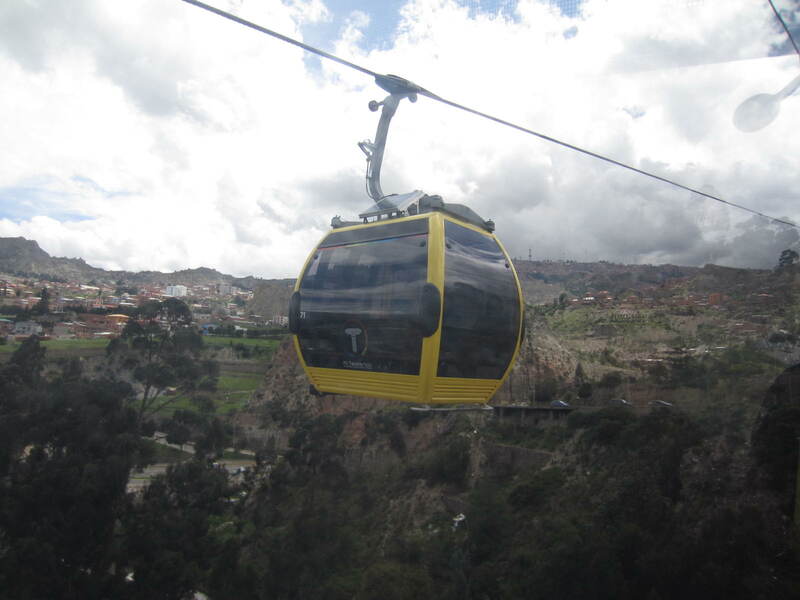 The tour consisted of taking the cable car (Mi Teleferico) on the yellow line from the center of La Paz to the last stop which is in the ‘Satellite City’ of El Alto, up above the valley. 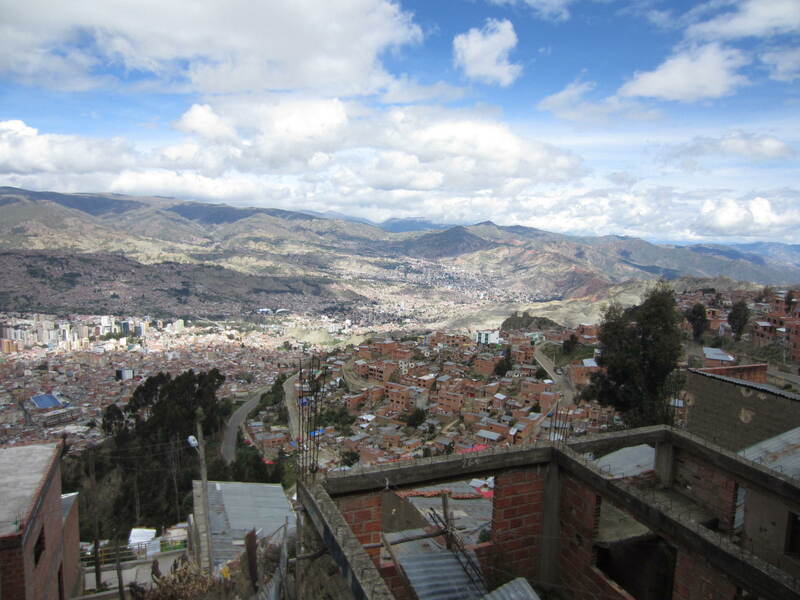 Afterwards, the guide lead me back down with panoramic views of the valley below through residential neighborhoods built into the hills and then markets before reaching the center. My tour guide, Alejandra, was very punctual and was waiting for me at my hotel at 2 pm. 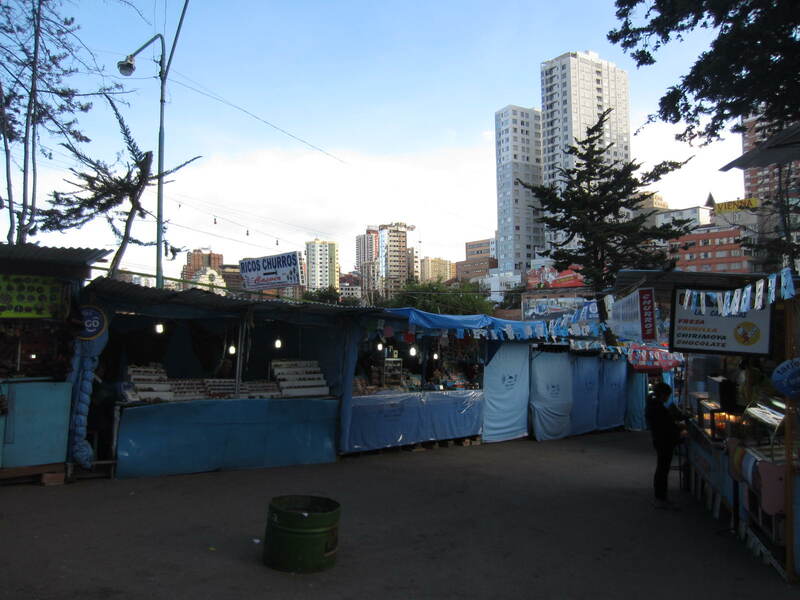 We took a public taxi to the cable car stop and along the way she pointed out various things such as the Alasitas Fair, a market of miniatures open for about a month each year. 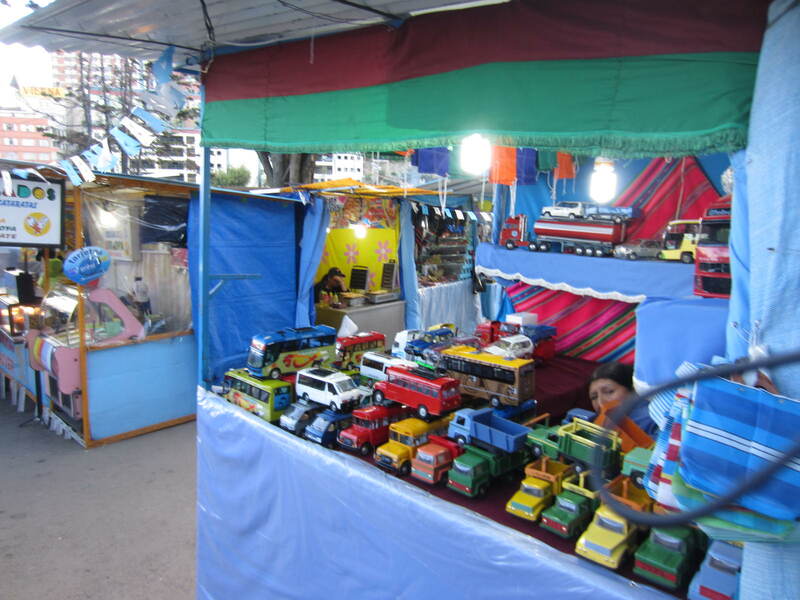 Bolivians buy miniatures of things that they hope to have in the New Year, such as food, a new house, a cell phone, a car, or a baby. Alejandra provided me with a bottle of water, but as open food and beverages are not allowed on the cable car, it had to be stowed away in a bag for the ride. 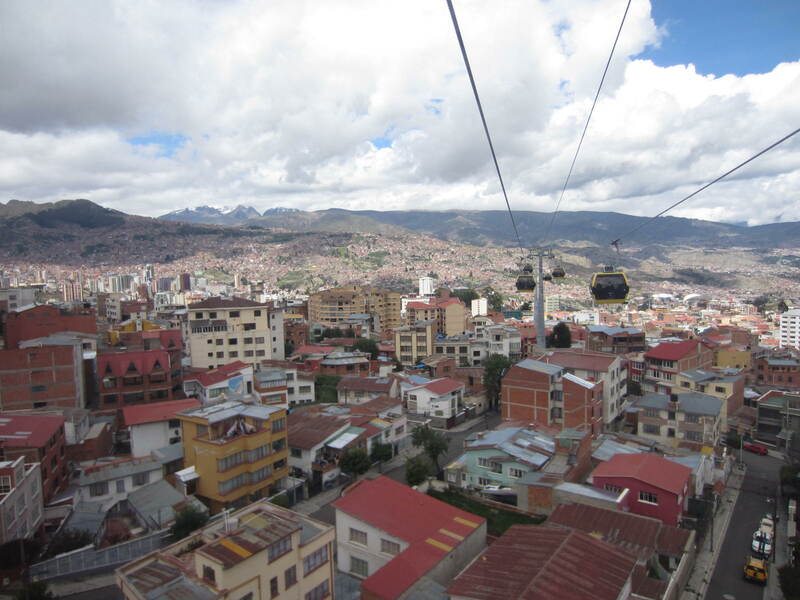 The cable car ride lasted about 15 minutes and had amazing views of the entire city spreading out into the mountains. Alejandra explained and pointed out different neighborhoods along the way and answered any questions I had. Once we arrived in El Alto, we walked about 5 minutes, 2 blocks down the street to an old water tower that has been converted into the Antonio Paredes Candia museum. 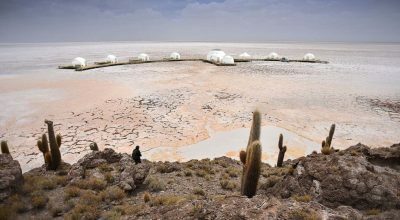 He was a famous writer and researcher that dedicated himself to promoting literature and art for all classes of society in Bolivia. He is even buried right outside the front entrance of the museum. The museum was opened in 2002 and Candia passed away in 2004. The museum was very interesting but poorly lit on some floors, which may have been due to the fact that we were the only people visiting there at the time. 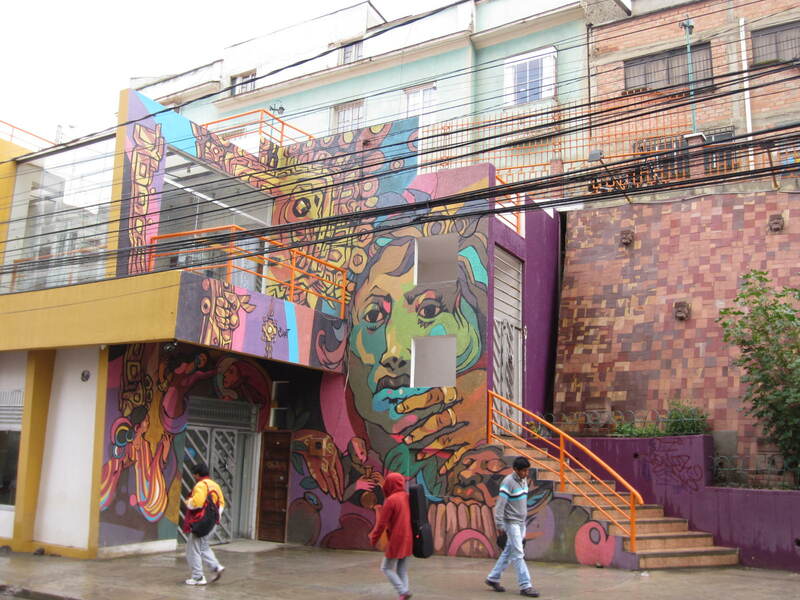 The first floor had large contemporary art paintings and some sculptures. The only way to reach the other floors is by using the stairs, as there is no elevator in the building. The second floor was quite dark but had some great contemporary art with political significance. The third floor had archeological pieces like pottery from the Tiahuanaco and Mollo cultures, including some old ekekos which I found very interesting. Ekekos are gods of prosperity and good fortune, usually depicted as a small figurine of a man with a mustache in traditional dress. Alejandra explained a little about the cultures and the function of the ekekos as she had explained the paintings on the prior floors. The top floor had sculptures depicting all sorts of animals and people. Alejandra explained one of the themes was the serpent, puma, and condor showing the harmony between three worlds. From the top floor, there was a nice view of the snow-capped mountains in the distance. I found the museum to be simple but interesting, especially with Alejandra explaining the meaning of the artwork and the founder of the museum. 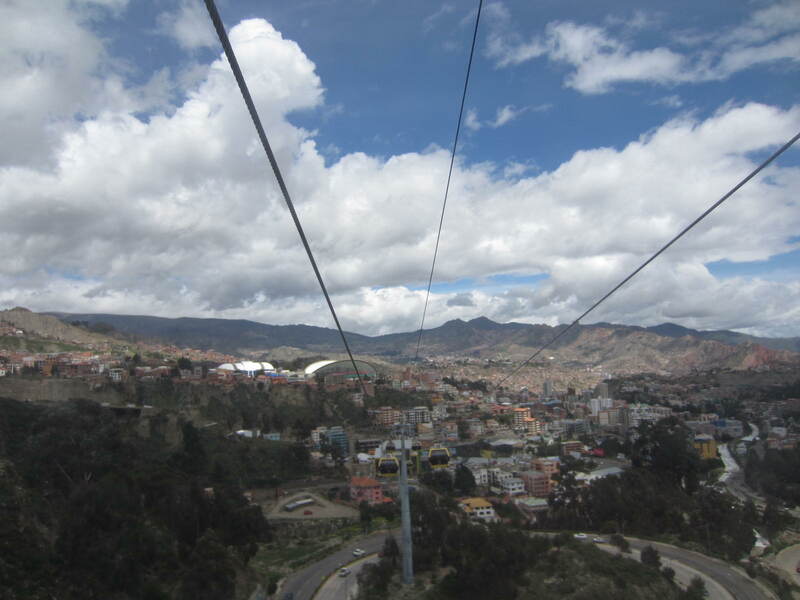 After leaving the museum, the second part of the tour consisted of walking back near the cable car stop and heading down some stairs off to the right. 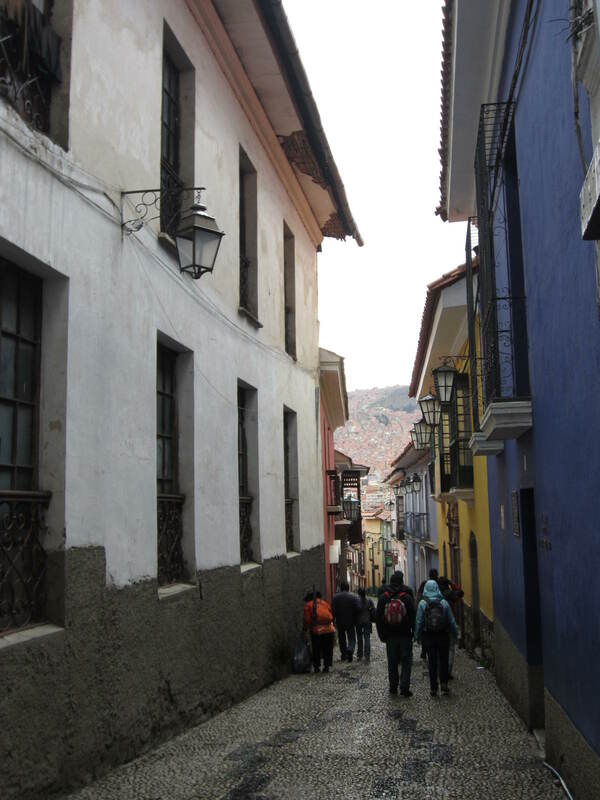 We continued down through neighborhoods on concrete stairs. There wasn’t much to explain or point out but there were nice views of the city down below, similar to those from the cable car. 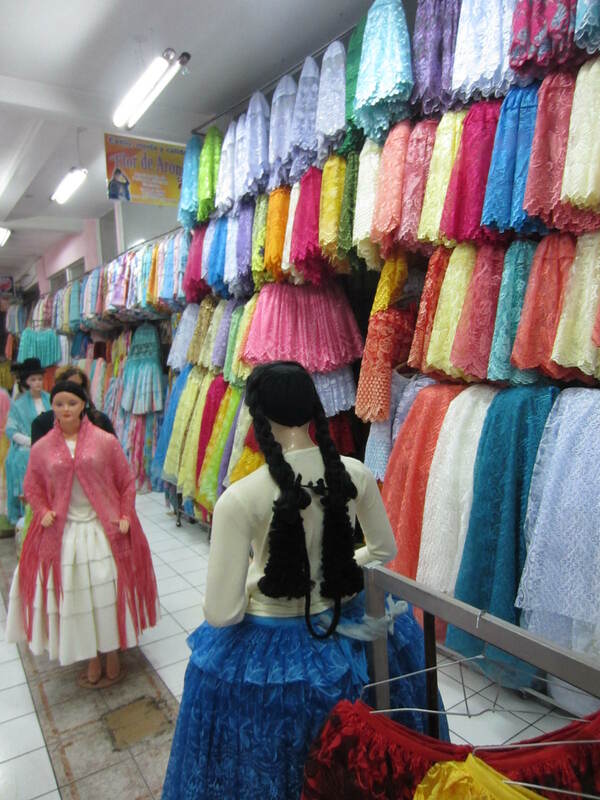 We walked by kids playing with water guns, stray dogs, Aymara women hanging their layered skirts out to dry, and dolls hanging from lamp posts warning people of what will happen if they try to steal from or injure anyone in the neighborhood. Alejandra informed me that each area has their own informal neighborhood watch system. 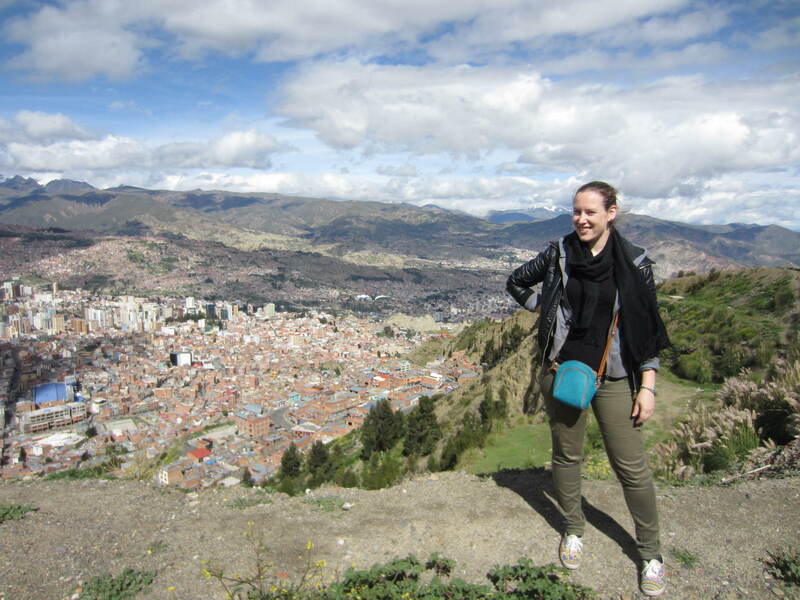 Eventually, we arrived at a small grassy area with a lookout point good for taking pictures of the city view. The walk is all downhill, mostly on stairs. 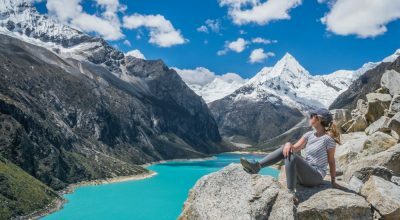 Although there are no landmarks or specifically interesting locations, you get a peek into the life of the residents who built their homes into the mountains of La Paz and beautiful views of the city and mountains in the distance. 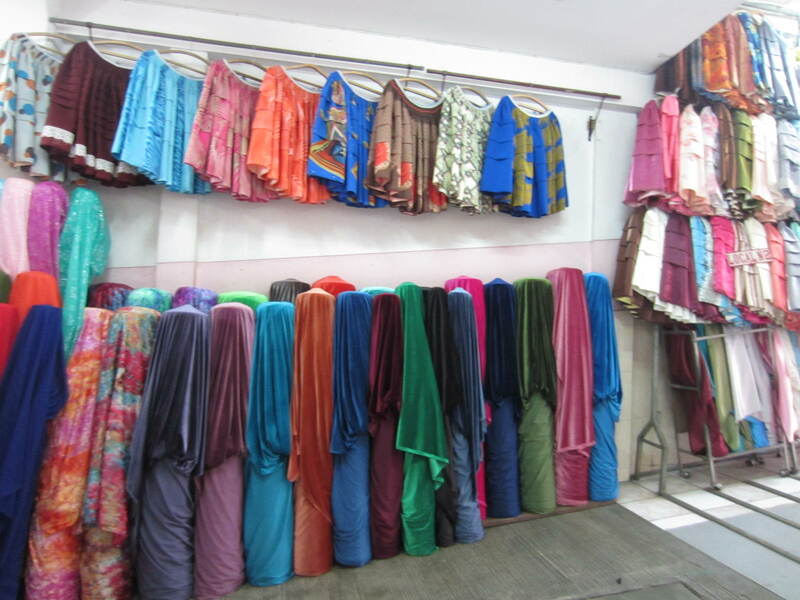 Nearing what seemed like the bottom of an endless valley, we took a public bus to an area of small streets with markets selling everything from food to mattresses to material to construct houses. The bus was not crowded and we even got seats–what luck! 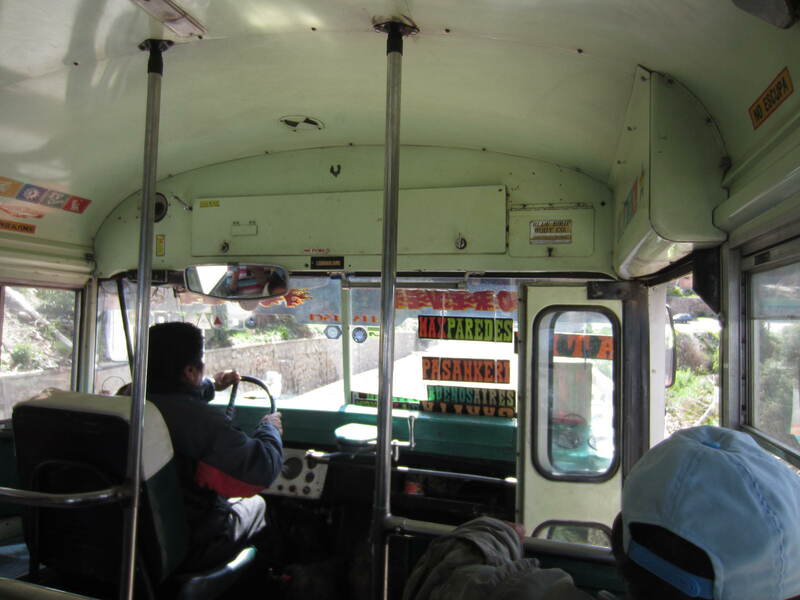 Buses in La Paz are typically crowded and traffic chaotic, but it’s part of the adventure of visiting La Paz. On the bus, Alejandra gave me a snack, some crackers and a small piece of chocolate which she said was made in Bolivia. 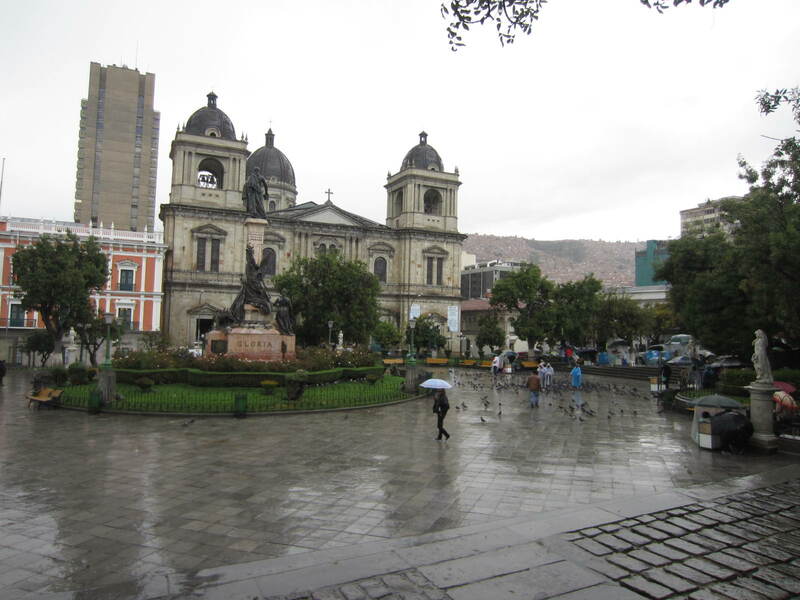 Last, Alejandra accompanied me back to the San Francisco Church which was near my hotel and we arrived around 5 pm. 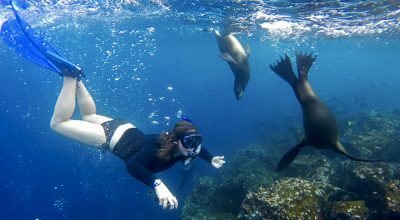 Interested in an alternative La Paz walking tour? 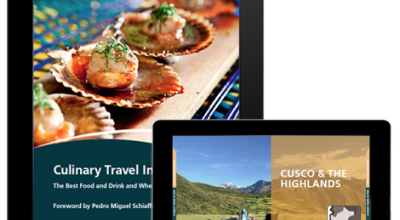 Get in touch with us on travel@aracari.com to plan your tailormade luxury travel Bolivia journey.